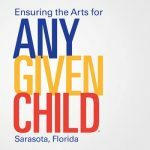 The Arts and Cultural Alliance is always happy to spread the word about the deep and rich arts and cultural community in Sarasota. We are happy to provide speakers to civic and community groups. The arts are an essential part of the history and current vitality of Sarasota. Executive Director Jim Shirley is available to speak on a variety of topics: economic impact, social impact, history. We can identify speakers to address specific topics of interest to your group. The Alliance is a proponent of Arts Education as a part of a complete education for all students. Nancy Roucher, Education Chair, speaks from personal experience of the strong partnership between the Sarasota Public Schools and the arts community. Contact us. We are happy to recommend others in the community who can speak about different facets of the arts and cultural community.